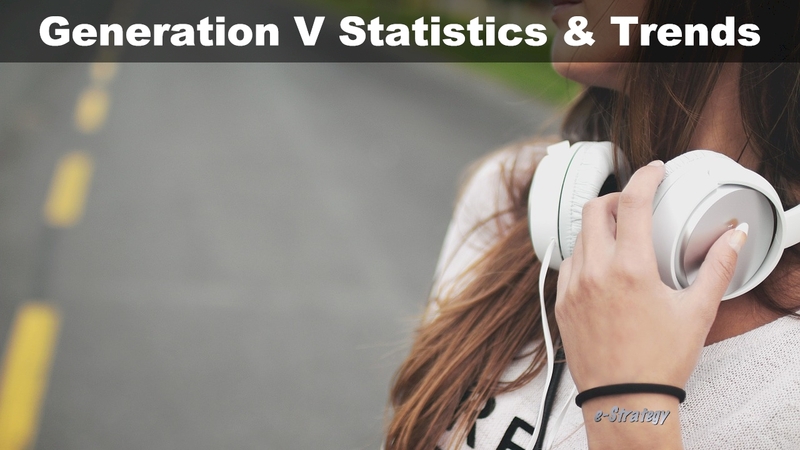 e-Strategy Trends’ continually-updated collection of Generation V research, statistics and trends for marketing, public relations, advertising and strategic communications professionals. Online and offline conversations are estimated to drive almost one-fifth of consumer sales in the US. So as marketers turn their attention to Gen V, it pays to know what they’re talking about. More than nine in 10 kids in the US ages 4 to 11 have access to a smart speaker or voice assistant. Retail marketers continue to focus their energies on Gen Z and Millennial consumers, and doing so should include a healthy level of importance attached to social media. Of the 1,000 US internet users surveyed, more than half (56%) of Gen Zers, ages 16 to 24, said they had increased their use of Snapchat in the past year, and another 55% of respondents said they are using Instagram more.